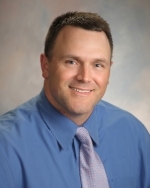 Dr. Jon Bafford is a Certified Chiropractic Sports Chiropractor serving Newark and the surrounding areas. Dr Bafford and the rest his team at Bafford Spine and Nutrition are committed to providing you with the most up to day treatments and solutions to address your unique needs. Dr. Bafford has over 15 years of experience treating some of the most difficult spinal conditions such hernitated discs and spinal stenosis. Dr Bafford has spent many hours continuing his education for sports related injuries. So,whether you are experiencing back pain, neck pain, headaches, or even muscular tightness and tension, Dr Bafford has some of the most up to date soft tissue techniques, to treat your injuries. Even if you're looking to improve your overall health, we may be able to help you attain your everyday wellness goals through our Functional Movement Screens and through our Clinical Nutrition! Check out our different pages or click the above logos to learn more about how our services can meet your needs without evasive medications or surgeries. Check out our testimonial page to find out what our patients are saying about Bafford Spine and Rehab. At your first visit with Bafford Spine and Nutrition, Dr. Jon Bafford will go over a detailed history with you, provide a neurological and orthopedic examination and provide diagnostic imaging if needed. If Dr. Bafford feels confident treating your specific condition or conditions, he can customize a plan for your health goals. If necessary, Dr. Bafford can order MRI's, CT's, or other diagnostic testing. Dr. Bafford always feels he is part of a patients health team and is always willing to provide information to other physicians, athletic trainers, massage therapists, etc if requested and can provide any necessary referrals if he feels he is not the best option for you. If you have not been to a sports chiropractor before and want to find out more, please Email Us or call (740) 366-5599 to receive the answers to your questions from our experienced team. We also welcome referrals, so we invite you to share our chiropractic and wellness information with your friends and loved ones. If you would like to stay informed about the latest in spinal and extremity care or if you want to start receiving free articles about health and wellness news, subscribe to our bi-weekly newsletter, even if you are not a patient. We also offer a member wellness area which includes our animated exercise videos, wellness articles, and other healthcare resources. Sign-up using the form or call us at (740) 366-5599 to take advantage of this exclusive offer.